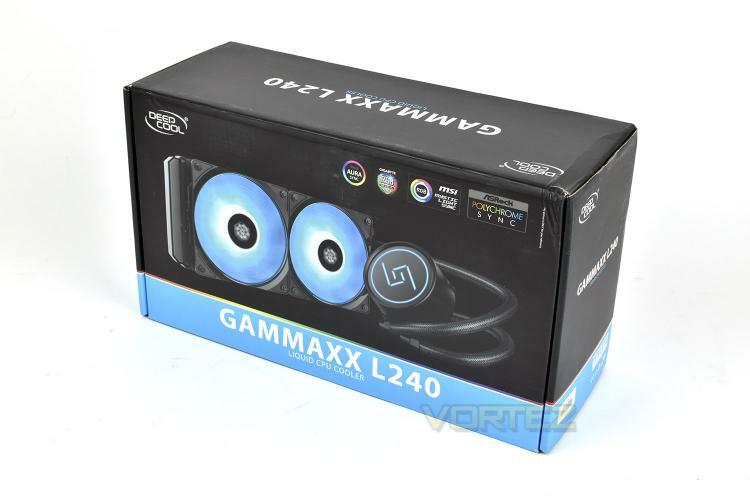 The GAMMAXX L240 is delivered in a large cardboard box, showing a large image of the loop on the front, complete with RGB illumination. 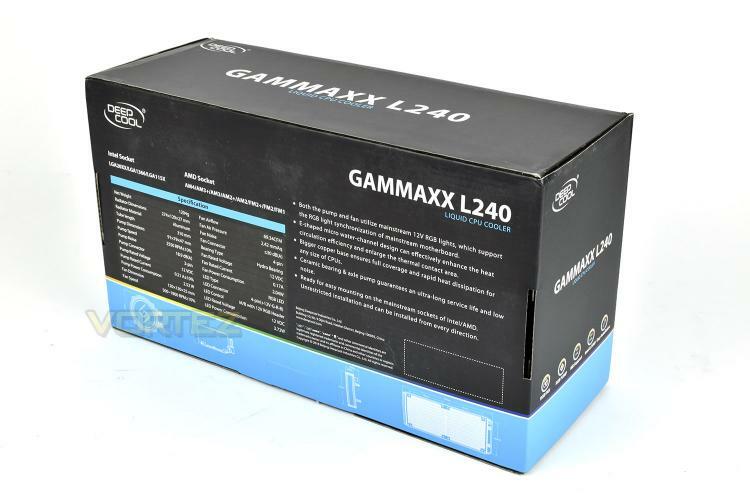 There are the four main motherboard manufacturers listed across the top, for their RGB support. Reversing the box, the rear gives some good bullet point features as well as an extensive specifications list. We also find the usual exact dimensions of each component, useful for users with smaller cases or specific use cases. Laying out the entire contents, we see the cooling loop at the top with the two fans on the right. 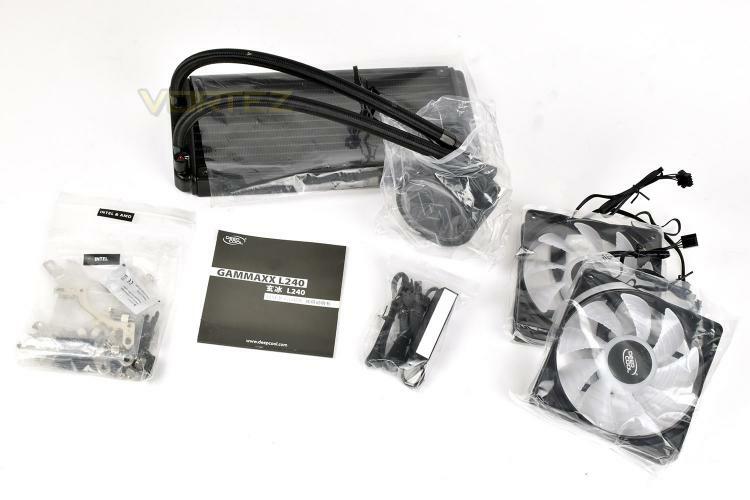 Along with that is a fan controller, ensuring both fans are controlled together via a single PWM header on the motherboard, there’s also a user guide for installation instructions and the relevant mounting hardware for Intel and AMD sockets.